I find that it is often easy for us to hide ourselves. We tend to keep those deep thoughts and feelings to ourselves not wanting the world to know our weaknesses. It has been six years since I have opened up my heart and thoughts to others. I didn't get here by myself. It took nudging. It took many, many therapy sessions. It took two beautiful girls. It took a patient husband. It took faith. It took growth. I was afraid to share. I bottled up so many up thoughts and emotions, and I literally felt myself being destroyed from the inside out. I am thankful for the progress that I have made over the past six years. This year I have finally gotten to the point where I will participate in Al-anon. I've thought about for nearly six years, but this year I will go. No longer will I hide and stuff down the affects of my parents' addictions. I will share my story. I will listen to others. I will heal. Do you find that it is hard to share? Is it easy to stuff things down in the guise of making others uncomfortable? 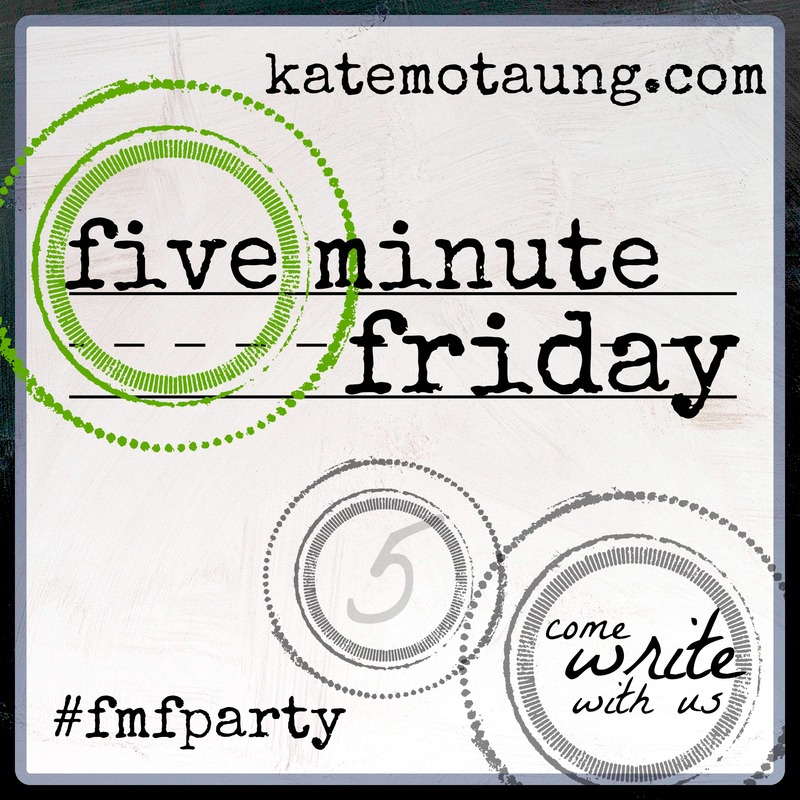 This post is linked to Five Minute Friday hosted by Kate Motaung.